Everything you’ve ever heard about India is probably true. It’s chaotic. It’s dirty. It’s colourful. It’s in your face. But it’s also one of the most incredible, eclectically wonderful places I’ve ever visited, full of contrasts, nature of an overwhelming beauty, fairy-tale like palaces and temples, and an incredibly rich culture which will amaze you whether you’re sleeping on a desert in Rajasthan, shopping in Bombay or trekking through tea plantations in Tamil Nadu. During my travels, the locals would often tell me with a smile: “It’s India! Anything is possible!” And it’s true – there’s not just “one” India – there’s many faces of this beautiful country, all of them waiting to be experienced differently. 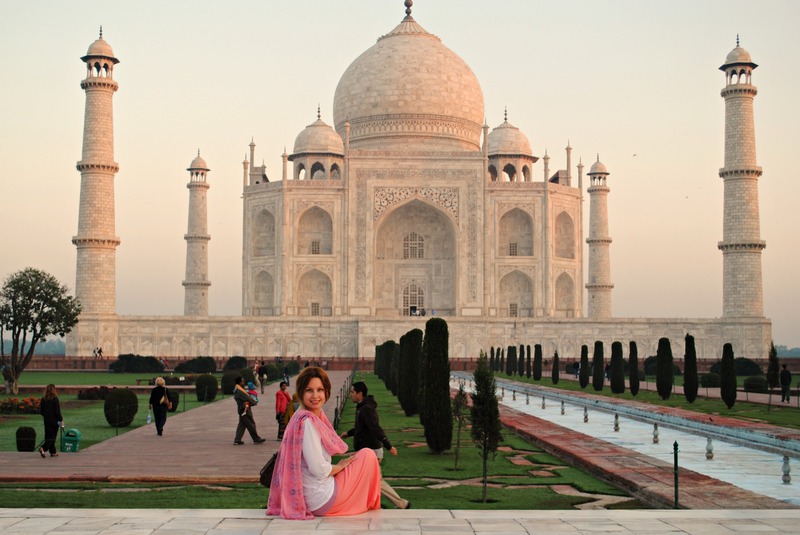 Is it safe for a woman to travel alone in India? 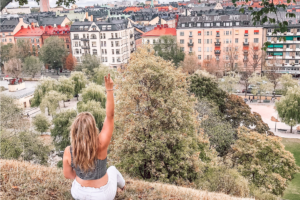 The issue of safety is usually the first thing that comes to mind before setting off on a solo trip, whether it’s to India or anywhere else in the world. Speaking from a strictly personal point of view, while travelling in India can definitely be challenging, it’s also very safe. I spent 3 months travelling solo though India, starting off in New Delhi and finishing up in Fort Cochin, and I haven’t had any bad experiences. Quite the opposite, I’ve met a lot of wonderful people along the way, including one of my now best friends. Don’t forget: aside from culture-appropriate outfits, you also need to pack your common sense! If walking down a dark alleyway in the middle of the night isn’t something you would be doing back home, you shouldn’t do it in India either. You will meet a lot of fellow travellers on your solo adventure and who knows, some of them may even end up joining you! However, at the end of the day you are setting off alone and you will depend on yourself the majority of the time. Make sure you have everything you need in case of a minor emergency, like a cold (yes, as I have found out, it is possible to catch a cold in India, in a 35C heat!) or a stomach bug. Put together a basic first aid kit and pack your medicines, painkillers, band aids, an antiseptic and a tropical strength anti-mosquito spray (it should contain over 20% deet). If you will be travelling to an area with a high risk of malaria, buy anti-malaria tablets prior to your trip. You may also want to get vaccinated! Here’s a list of recommended vaccines. Better be safe than sorry, right? It will come as no surprise that Indian women tend to dress rather conservatively. That being said, the way you’re expected to dress depends on the area. 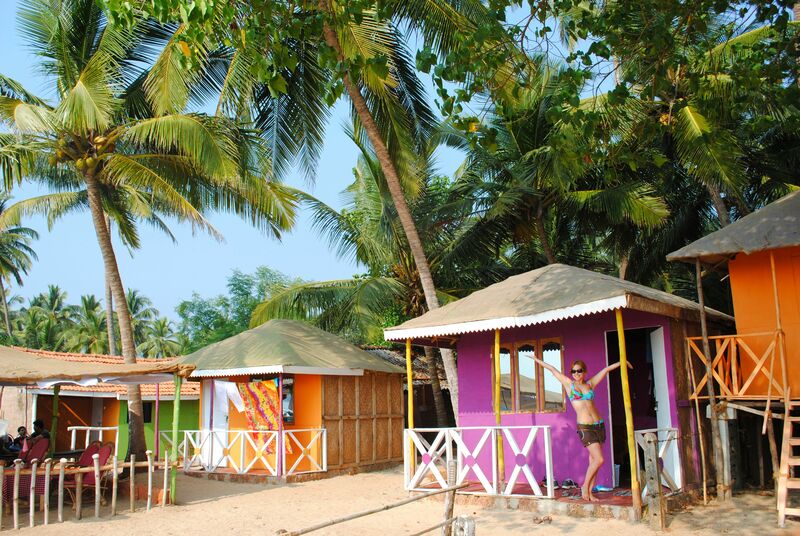 For example, Rajasthan, Varanasi or Paharganj in New Delhi is where you want to make sure you cover your arms and wear loose clothes, while it’s ok to wear shorts and more skimpy outfits if you’re soaking up the sun by the beach in Goa or Kerala. Bombay is probably the most liberal Indian city but even there you still need to dress quite modestly. A loose maxi dress or jeans paired with a short sleeve top and a scarf are a way to go! The further down south and closer to the sea, the more relaxed the dress code becomes. As a rule, when travelling though small cities or traditional areas, it’s best to wear loose clothes covering your shape, especially your chest, arms and legs. If in doubt – follow local women’s cues and use them as a reference when deciding how to dress. As a foreigner, you will get stared at and hassled regardless of what you’re wearing, but you will feel more comfortable and at ease when dressed appropriately. Also, make sure to dress modestly in the places of worship and always take your shoes off before entering a temple. Finally, don’t worry – deciding what to wear doesn’t have to be a daunting experience! Play dress up and go shopping at the local market – you can choose from beautifully colourful fabrics and traditional outfits such as shalwar kameez, sarees and shawls. Local fashion is yet another aspect of the Indian culture which you need to discover! One of the most expensive things about travelling solo is paying for accommodation. Luckily for you, that’s not really the case when you’re in India! When I first arrived in New Delhi, I had no idea that I could haggle over room prices, which meant I kept overpaying. Another mistake I made was booking my accommodation online. Doing so meant that I was not only paying more, but also kept missing out on a wide range of accommodation options which weren’t available online. 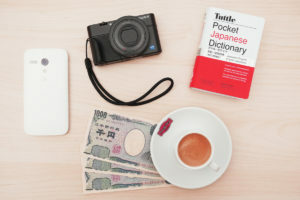 If you’re not travelling late at night or long distance, the best thing to do is consult your travel guide (I used Lonely Planet) and check which area offers the cheapest accommodation options. Head straight there, visit a few hotels and haggle away! This will also give you the chance to check the state of the room before committing to a booking. A lot of the places I stayed at weren’t up to my usual standards of cleanness, to put it nicely. 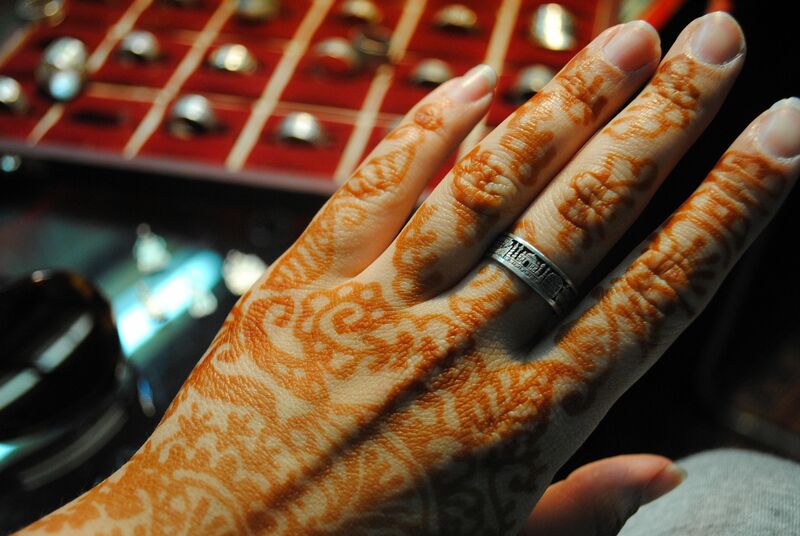 When in India, you need to haggle! Whether you’re buying bangles at a market, booking a hotel room or choosing a place to eat, make sure to get a good deal. When you’re shopping at a market, try to bring the asking price down by at least 50%. Don’t worry, the vendors won’t be offended – haggling is a part of the culture. You may be ushered inside a store and end up haggling over a steaming cup of chai, served to you by a shop owner eager to make a sale. It’s all a part of the haggling experience – it also means that you will probably end up having 10 cups of chai over the span of a few hours! As a solo female traveller, you will be more likely to get discounts at hotels. We’re not talking about the Hilton here, but if you stop by at a medium-priced hotel or a guesthouse and explain that you’re on your own, you are more likely to get a better deal. Be insistent! Believe it or not, you can even haggle at restaurants. I did this in Karela, where many seafood restaurants display their catch of the day at the entrance, as a way of getting custmers’ attention. This is your opportunity to haggle! From what I’ve noticed, it’s easier to get a discount when you’re with a larger group. 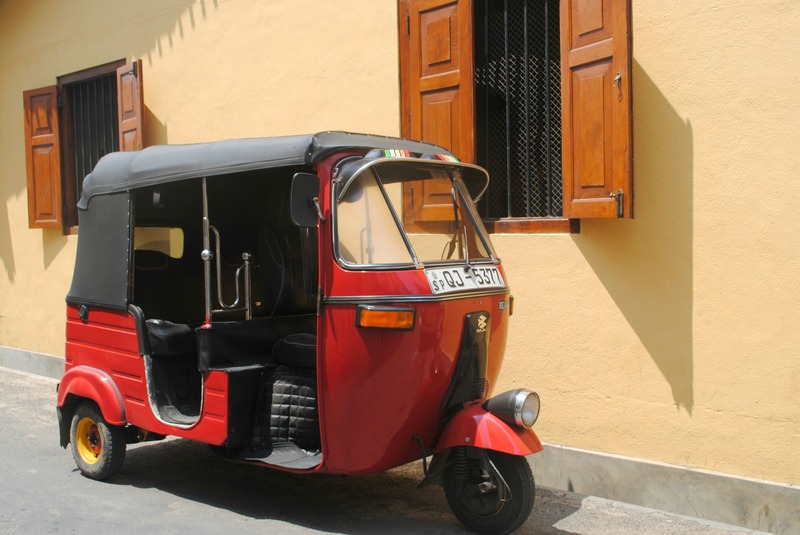 An absolute standard in India, taxi and rikshaw drivers will often pretend not to know the way to your hotel (or insist that it’s in a bad area or closed down), and offer to take you to another place. They aren’t doing this out of the goodness of his heart but to get a commission! Ignore whatever they say and insist on going to the hotel you booked. Overcharging is also notorious and while taxi drivers all over the world are infamous for this, India takes it to another level. Therefore, always make sure to agree on the fare before you get in the taxi/rikshaw. To get a better idea about the costs, ask at your hotel. When travelling from an airport, use the government-approved taxi service – they will use their meters and are less likely to rip you off. You’ll often get approached by locals (99.9% of the time they will be men) offering to show you around. While they will make it sound like they are doing it out of sheer friendliness, they will eventually ask you for money, putting you in a very uncomfortable position. When approached, keep the conversation to the minimum, refuse their offer, and walk away. If you’re genuinely interested in hiring a local guide, make sure to agree the price in advance. For your own safety, arrange it through an agency instead of setting off with a random man. A cashmere scarf for a 1,000 rupees? A pearl necklace for the equivalent of €2? If something sounds too good to be true, it probably is! Don’t get ripped off. If you really like something even if you’re suspecting it’s not genuine, haggle till you reach the price that you feel comfortable paying. As a solo female traveller you will attract a lot of attention and yes, you guessed it, most of it will be male. While I’ve met a lot of friendly and helpful guys during my travels, the type of local men who approach you as you’re wandering the touristic areas makeup-less and dressed in Alibaba pants with a handful of threaded bracelets wrapped around your wrist, aren’t exactly the type to spend time with. They are either scammers (see above) or shop owners trying to make a sale. They may also be local guys who are genuinely interested in getting to know you because: A. you’re a foreigner; B. you’re a girl C. you look like you’re single. Make sure you’re not being too approachable as your friendliness may be taken the wrong way! The male-female dynamic in India is very different from what we’re used to in the West and you don’t want to put yourself in an uncomfortable situation or unknowingly lead the poor guy on. I will be honest – after travelling through India for 3 months, using pretty much every mode of transportation available, including makeshift drafts, camels, scooters, rikshaws, trains and planes, I’ve developed a love-hate relationship with it. The bureaucracy is shocking. The poverty can be confronting. 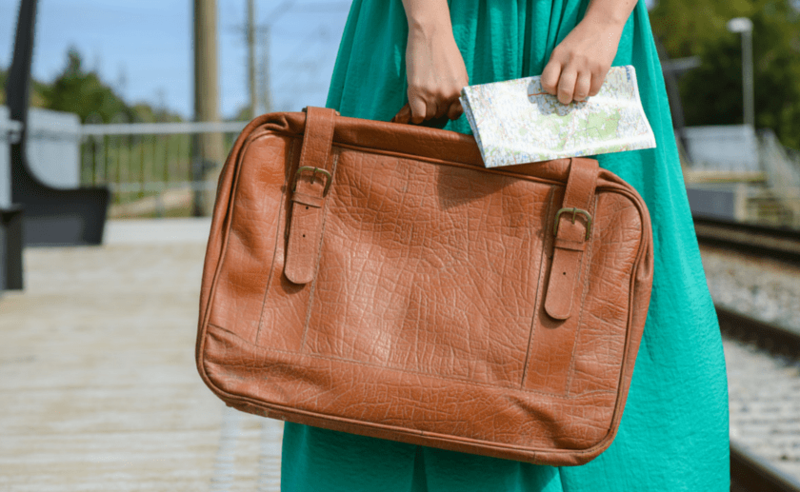 The amount of unwanted attention that you receive as a solo woman traveller becomes annoying and tiresome. However, none of this compares to how amazing it feels to swim in the Arabian Sea at midnight, with the full moon shining bright above you. Or to falling asleep on the Thar desert to the sight of the Milky Way. Or to watching the sunset over the ancient ruins in Hampi. Or to waking up at 5am to witness the Fire Ceremony at a temple somewhere in Southern India. 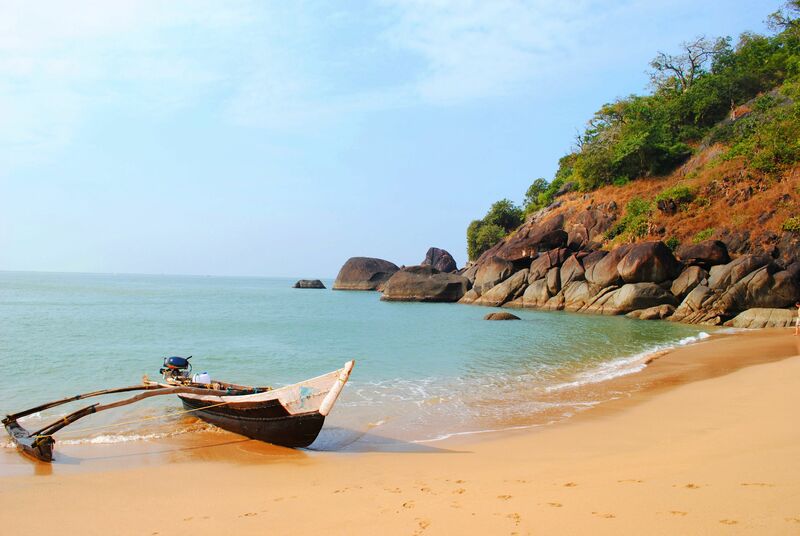 The point is, travelling in India won’t always be easy, but it will be extremely rewarding. Be patient and take it as a given that things in India are done differently to what you’re used to, or even to what you expected. 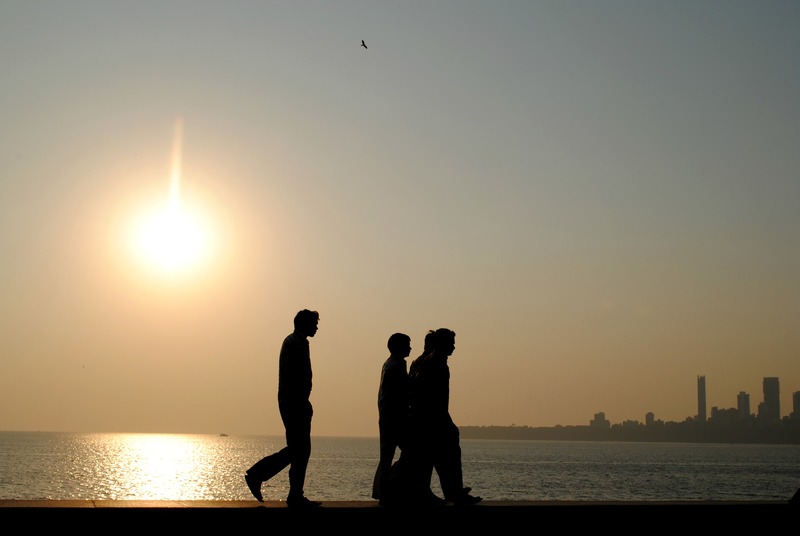 The more you compare India to your home, the more frustrated and disappointed you’ll get. After all, you came here to experience something new and different, so embrace it! As soon as I started accepting things the way they were and just went with the flow instead of getting worked up over small things, I started enjoying my stay much more. India still remains one of my favourite travel destinations, and I hope you will feel the same way once you visit. Have you ever been to India or are planning a visit? What are your thoughts on doing it solo? Let me know in the comments below! Amazing article Marta, you are bang on with “India won’t always be easy, but it will be extremely rewarding”! So true! Thanks so much, glad you liked the article! Writing abut India made me miss it lots! I’ve just come across your blog and thank you! I’m going to India for 3 weeks in November, although for 15 days i will be with an organised tour, the rest of the time i will be on my own. Its nice to find some clear and good, helpful advice about travelling there as a single female! I can’t wait to go! You’re very welcome! Thank you for stoping by! Have fun in India, I’m sure you’ll have an amazing time! It’s still one of my favourite travel destinations. Thanks for such an insightful article. I am an Indian (male) and it was very interesting to see the culture and country from your eyes. I very much agree to all you’ve written and appreciate the outright honesty. Hope you would be back for more of India and have better newer experiences to write about. Thanks Marta! thats a lovely compilation of feelings one could experience while travelling India. I am going to plan my first solo trip and surprisingly I am not too confident to travel alone in India. You got the courage to travel alone for 3 months. I have yet not decided which place to travel that is safe. You may suggest one please. 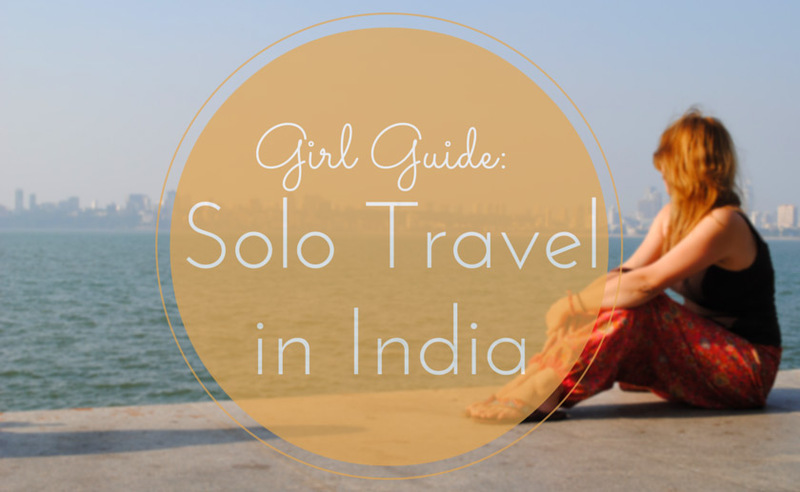 I found this much helpful, as to what I was exactly searching for solo female travel tips and i get the your blog. You share the information is really helpful. Thanks for such post and keep it up.